The Essential travel tips for New Zealand! Travelling to Aotearoa, a.k.a New Zealand? Then these are the essential New Zealand travel tips you need to know! 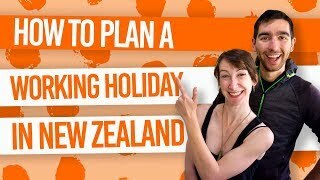 Whether you are in the Land of the Long White Cloud for a couple of weeks to a couple of years, these are the New Zealand travel tips to get you started. What’s more, they’re likely to surprise you! So before you pack your bags and head over to this wonderful country, make sure you read these travel tips for New Zealand. You need to be prepared for the weather, the roads, the customs and so much more. If you are coming to New Zealand on a more long-term trip, be sure to hit up our 30 Tips for Backpacking in New Zealand too. A famous saying in New Zealand is “Four Seasons in a Day”, meaning the weather changes so often in New Zealand that is often feels like you experience four seasons in a day. Let that be a word of warning to you and always have an extra layer with you, even when venturing on a day trip in summer. The weather can change on a dime, so be prepared. For more advice on what clothing to take in New Zealand, see What Clothes to Pack to Travel in New Zealand. New Zealand is well connected with roads and a national bus services. The cheapest way to get around would be to get a pass for the InterCity Bus or A to B bus tickets from Skip Bus, however, you can amp up your bus experience with like-minded travellers on one of the hop-on hop-off buses or other bus tour companies. Work out the difference between bus services in New Zealand by checking out Bus Networks in New Zealand. For more independent travel and to get to those off the beaten track places, rent a car or campervan. Long-term backpackers will find that buying a car or campervan then selling it after your trip is much more cost-effective than than renting. Learn more about renting or buying a vehicle in Should You Rent or Buy a Vehicle to Travel New Zealand? To keep yourself and others on the New Zealand roads safe, we really recommend you check out the New Zealand road rules before heading out. The obvious one is that we drive in the left in New Zealand, but there are some rules about intersections and one-way bridges that you are probably not familiar with. Wise up by checking out How to Drive in New Zealand. On another note, always double check your GPS directions with another source. When getting to some more secluded locations, GPS directions are not usually reliable. Finally, be aware that many of New Zealand’s roads are winding, so take that into account when planning your travel time. For tips on driving in New Zealand, take a look at The 12 Golden Rules of Driving in New Zealand. Everyday items, such as food and drink, are likely to be more expensive than what you might be used to at home. That’s the problem with being an isolated country. With this in mind, plan your budget accordingly. Reduce the amount of times you eat out and cook meals for yourself. Hostels always have kitchen facilities where you can cook your own meals so save on accommodation AND food by staying in a hostel! Find out more ways to budget for New Zealand in 11 Ways to Save Money and Stretch Those Dollars Further. Between New Zealand and Australia is a nasty hole in the O-zone layer which means the UV rays are pretty intense compared to what you might be used to. Just seven minutes of sun exposure can leave you with nasty sun burn. Lather up with at least SPF factor 30 before spending time outside, even in winter. For more health tips, check out Health Tips For Travelling in New Zealand. … Then bookmark BackpackerGuide.NZ as a resource to help you find a job in New Zealand. We have loads of free advice in How to Quickly Find a Job in New Zealand. Finding a job in New Zealand usually takes a mix of face-to-face introductions and applying online, so be sure to have a browse at our job listings too. And improve your CV / resume by following our hints in How to Create a New Zealand CV. Tipping is not very common practice in New Zealand. You are not expected to tip, but if you feel like a service has been exceptional then a tip will always be welcomed. Get more information in Tipping in New Zealand. When buying alcohol, for instance, you will need to show ID to prove your age. This is very common in New Zealand from entering clubs to buying beer or wine from the supermarkets (spirits can only be bought in liquor stores). The only forms of ID that will be accepted are your passport, a New Zealand Driver License and the Hospitality New Zealadn 18+ Card. So if you are on a short trip to New Zealand, keep your passport with you for those drinky times or, if you are here a little longer, keep your passport safe and get yourself an 18+ Card instead. Find out how to apply for an 18+ Card in How to Get an ID Card in New Zealand. If you plan to camp or stay in a campervan while travelling New Zealand, be sure to know where you are allowed to camp. Most of the time, you will need to be staying in a certified self-contained campervan if you want to park up somewhere for free. Otherwise, you will need to stay in campsites and holiday parks. For more information, see What it’s Really Like to Freedom Camp in New Zealand. For activities, accommodation and even your flight to New Zealand, you will often find a cheaper and better service if you book direct with a company. Use online travel agents to compare prices, then book direct with the accommodation provider/activity provider. They will usually match a price you have found elsewhere and often put you in one of the better rooms, seats, etc. than the ones they have listed on an online travel agent website. Figure out the pros and cons of booking agents in Travel 101: Booking Direct Vs. Online Travel Agents Vs. Travel Agents. If you liked this article, then why not check these out?